Ultimate Member is a community and user profile plugin that makes it very easy for everyone to create beautiful user profiles – it is a great tool to create online communities with WordPress. If you are using the Ultimate Member plugin to build your online community, you might also need a tool to search, filter and analyze your members data. 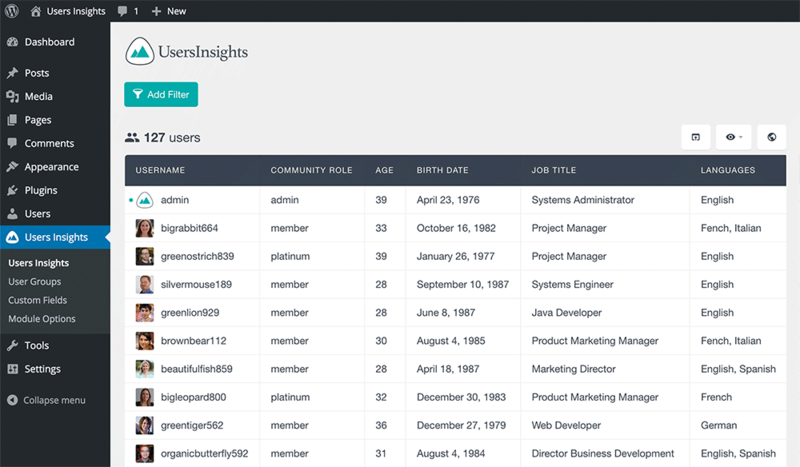 The Ultimate Member module of Users Insights provides out of the box support for the popular community plugin. With this module, Users Insights automatically detects all of the Ultimate Member custom form fields with their options and adds those fields to the WordPress user table. 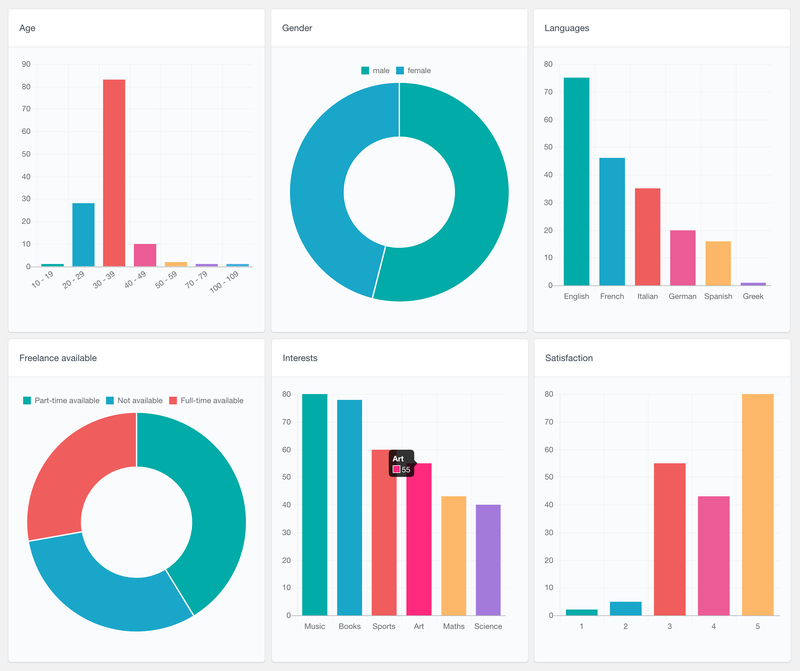 All this data is available in the Users Insights users table and smart filters, so you can filter, search and sort your members by their data right from your WordPress Dashboard. In addition to the user table, the custom fields data is also listed in the Users Insights user profile section that creates a complete profile overview of each member. The custom Ultimate Member fields can be also combined with any of the default Users Insights fields, such as the Geolocation and Device Detection modules data, that can create a powerful tool to analyze your WordPress users behaviour. 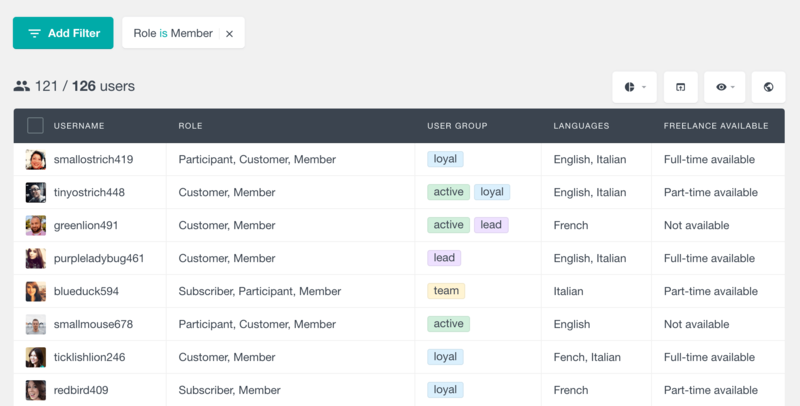 Users Insights automatically detects the custom Ultimate Member form fields, such as the registration and profile form fields. The field types are matched to the supported Users Insights field types, which provides a smart way to filter and sort your members by their custom fields data. The drop-down and radio fields are automatically detected as a select-option fields and the selected values are listed in user table for each user. Here is an example of a Dropdown field where the member can select whether they are available for freelance work, and a radio field to select their gender. Users Insights also automatically recognizes the Ultimate Member date fields and provides the corresponding filters based on the date settings of each field. When an Ultimate Member date field has a specific date or year range set, Users Insights will provide this year range in the filters as well. You can apply date filters to find the users with a date field that is “before”, “after” or “on” a particular date. You can also sort the user list based on a date field. For example, if we have a Birth Date field, we can easily filter and sort the members list by this field and find all the members that were born after a particular date. Users Insights detects the multi-select and checkbox field types and formats the data, so that the saved options are displayed in a comma-separated format. These field types support the “includes” and “does not include” operators, allowing you to list the users that have (or have not) selected any of the available options. The filters provide the available options in a dropdown list, so you can easily filter by any option without having to remember its exact name. The multi-select and checkbox field types also provide “is set” and “is not set” filters, so you can easily find the members that have/have not saved a value for the corresponding field. Just like the rest of the fields you can sort the users list by the text fields in an ascending or descending order. With Users Insights you can also filter your user list by their account status. Most of your users will most likely have an “Approved” status, however depending on your site’s configuration, there might be users with other statuses. For example, if registrations require an admin review or email confirmations, some of your user accounts might be marked as “Pending review” or “Awaiting e-mail confirmation” respectively. Users Insights respects the privacy settings applied in the Ultimate Member field options, so if there is a field that should be private to the members only and not visible to the administrators, this field would not be added to the Users Insights table. All of the Ultimate Member form fields that Users Insights detects are also automatically added to the user profile section. 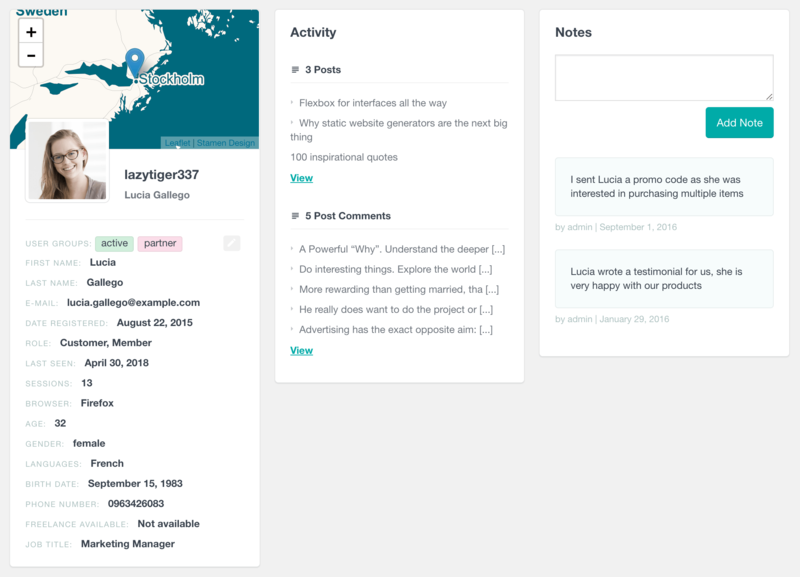 In this way you can easily list all of the available data for each user, including the default Users Insights fields, such as location and groups data, posts/comments activity or user notes. This gives you one single page where you have a bird’s-eye view all the available information about every user in one neatly organised place. The Ultimate Member module of Users Insights can work in a combination with any of the rest of the modules and available features. For example, you can use the Geolocation functionality to detect your members location, or you can use the User Groups feature to better organise your WordPress users. Users Insights gives you an option to choose which fields to show in the table, so you can always select the fields that you need to be visible. Here is an example that shows a combination of the default Users Insights groups column, the Country column detected with the Geolocation module, the Last Seen column and some of the Ultimate Member fields (Community Role and the Job Title custom field). You can visit the Features page to explore all of the available Users Insights features. You can use the Users Insights export feature to export the Ultimate Member data in a CSV format. It allows you to create a customized export where you can apply the Users Insights filters to narrow down the list of the exported users. With the export feature you can also select which fields to be exported, in case you need to export only some particular data. The export feature can be a helpful tool to export just the data that you need for a future reference, or you can even use this feature to create a customized export that you can use in your email campaign. You can visit this article to learn more about how you can easily import the users to Mailchimp with Users Insights. The Ultimate Member module of Users Insights also comes with a Reports feature that can help you visualize your members’ data. Most of the fields discussed above are also available as interactive charts. To learn more about the reports feature, you can visit the Ultimate Member Reports page. Whether you have a small or large community, it is always good to be able to see how your WordPress users interact with your site. The Ultimate Member module of Users Insights gives you the tools to analyze and make sense of your members data, without having to write a single line of code. When you get to know your users better, you can find new ways to improve your site and provide more customised offers and services.